Getting back on track with your budget can be disheartening, if not a source of anxiety. How will you eat out four times a week if you’re putting all the money you make away for twenty years? Well, it doesn’t have to be that way. Heed the following reasonable, simple steps to get back on track with your budget. Your goal must be realistic, measurable, achievable, and timely. Are you aiming to have just $50 at the end of every week? Want to save $100 for the holidays? Do you plan to move when the lease is up and hope to put money down on a house? Think about your future, what you’d like to achieve or obtain, and set a timespan in which you can reach your goal, and measure your progress as you go along. Begin your budget by maintaining detailed records of your expenses for 30 days. Track every purchase down to the cent. This will help you win back control of your budget by knowing exactly where your paycheck is being spent, and it’ll provide a guide to set a realistic spending budget with. It’ll also give you indications where you can change your spending behavior. You now know where all your money is going, so setting a realistic spending budget will be easier. You will have to make adjustments to understand what will work best for your way of life, so do not be afraid of change, yet also don’t be afraid of sacrificing immediate pleasure for long-term gain. You won’t have to cut out all the fun stuff, but sticking to your spending budget will assist you in reaching your goals. Savings accounts can differ greatly with regards to interest, fees, and minimum balance requirements, so do your homework and find the account that’s best suited for you. All of us have weak moments when we intend to put money into savings, but something comes up. Maybe that birthday you forgot about, or your car gets a flat tire. 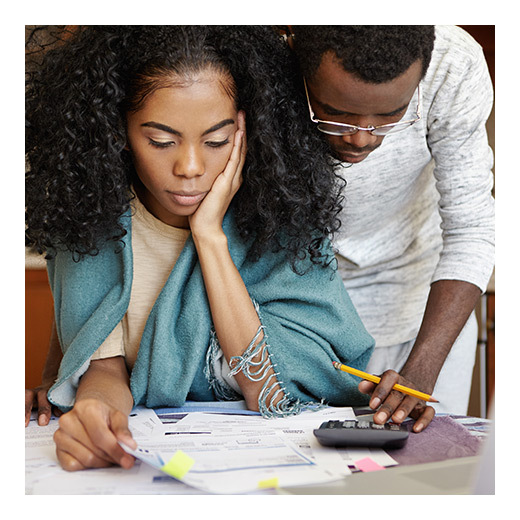 Avoid the situation three months from now when you look at your savings to discover you only have $10 in it by making your contributions automatic, establish direct deposit from your payroll and avoid a saving’s plan derailment. You may also have it automatically drafted from your bank account into your savings via tools on your bank’s website. What would you do if you lost your job or were in an accident causing extended hospitalization? Do you have enough money to get you through if have to take off work for a few months? While your savings account could be utilized for a significant purchase like a brand new car or a down payment on a brand new home, an emergency fund is an account you fund and don’t touch unless there’s an actual emergency. Financial experts say you should have four to seven months’ worth of expenses in your emergency fund. Look for ways to save. Sign up for rewards or programs loyalty, shop at the warehouse and club stores, use coupons and plan your trips strategically to take advantage of the best offers. When shopping online utilize cost comparison websites. You’ll find an application for almost everything. So look for applications that can help you be a better saver. There are budgeting applications, ones that assist you in finding the best local deals and applications which will help you to sell your old items to other people. Consider YNAB (You Need a Budget), although coming at a price of $50 a year, it connects to your bank account and updates your charges from your budget automatically, and it is totally customizable. As you get your budget on track, don’t be discouraged by hiccups along the way. The great thing about a budget is it’s flexible, and you actually have built-in safeguards for emergencies and unexpected events. If you get anxious, just put more money toward those areas for a while. Getting back on track with your budget will save you time, money, and put you in the best position to succeed in the future. The post 8 Tips to Get Your Budget on Track appeared first on Apartments For Us.